You may be thinking, "Why are these fools doing hair outside?" I'll tell you why... 1- It was a very acceptable temperature outside despite recent days of warm misery and 2- this hairstyle is so quick and easy, you can do it anywhere. 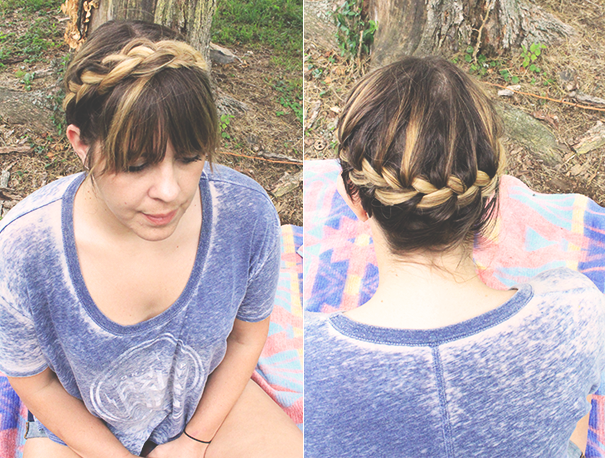 If you know how to french braid, this will be a breeze for you. If you don't know how, grab a friend who does. You can learn, or she (or he?) can just do your hair for you! Just like I did for Casey. 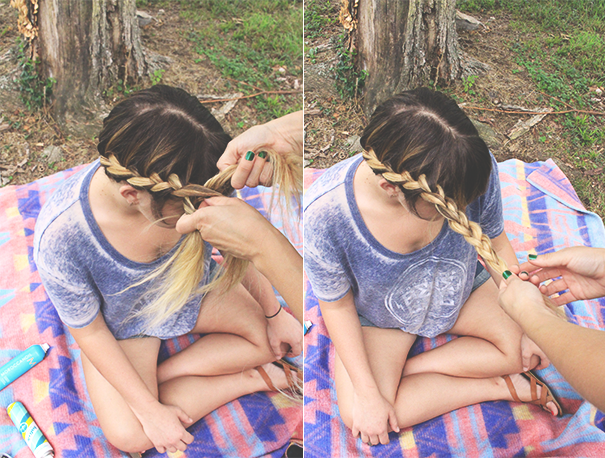 I actually really like doing hair so when my friends ask that of me, I happily oblige. 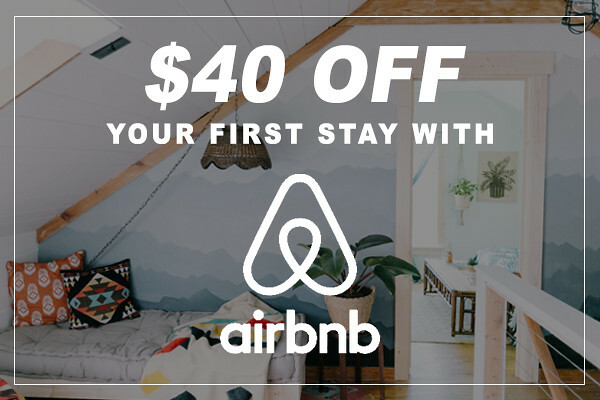 Grab your supplies. You really just need a clear elastic and some bobby pins. I like to use Dry Shampoo to give a little body and hair spray to set the hairstyle. Here I also used a brush to back comb and give a little more texture. When you are braiding your hair down to your head, your hair tends to look a little flat. Having texture in your hair will allow you just properly adjust your hair when you are done braiding it. So I sprayed dry shampoo at the roots, massaged it in, back combed the hair at the roots on top and then smoothed out the top layer. This is actually just a good base for any updo or hairstyle. 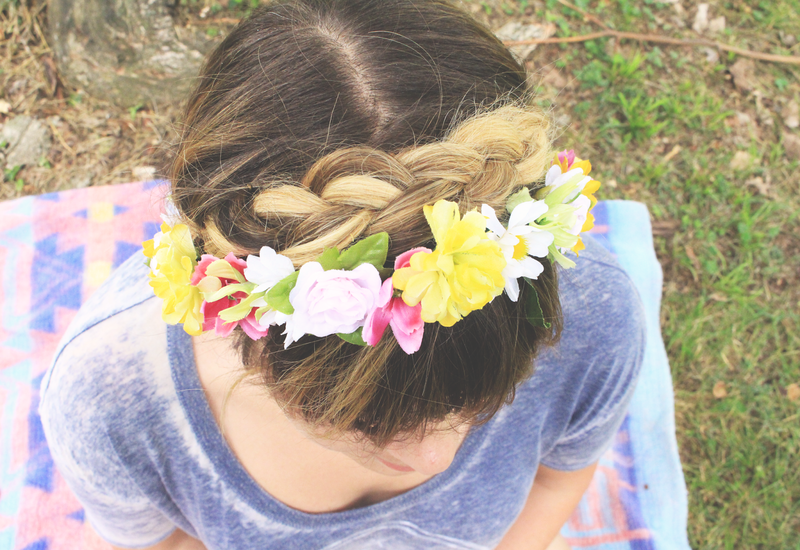 Now, start french braiding your hair starting on the side of your head. If you are right handed, it will probably be easier to start on the left side of your head and vice versa. I will now attempt to explain french braiding through words and pictures. If you don't understand, here's a video that may make more sense. 1. 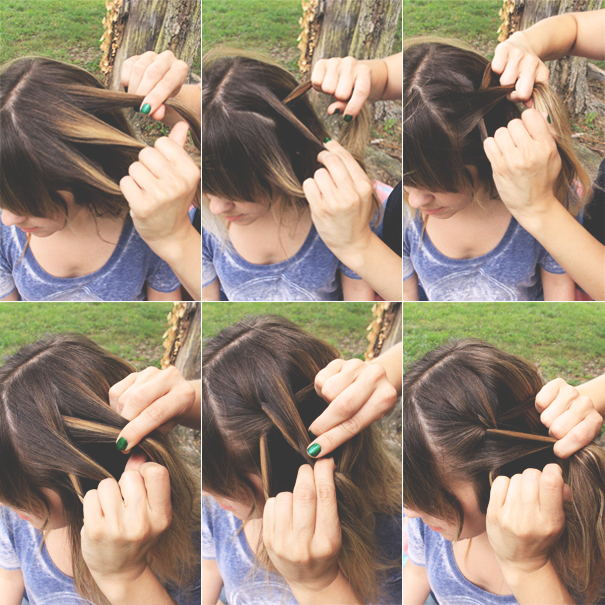 Grab the top portion of hair and split into three parts. 2. In your head, name the pieces from left to right "1, 2 and 3." 3. Cross piece 3 over piece 2 and then cross piece one over piece 3. 4. Rename the pieces from left to right. 5. Add a new piece of hair to the new piece called "3" and cross entire section over piece 2. 6. Add a new piece of hair to piece 1 and cross it over piece 3. Repeat this process over and over along the hairline. 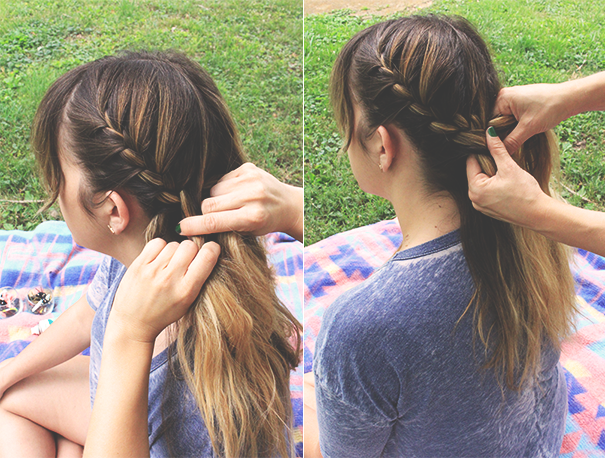 Be sure to keep the braid tight and close to the head as you make your way around the back and up the other side. The braid will be getting thicker so it will become a little more tricky towards the end. Just take your time and it will be worth it! Once you reach the front of the head and you have added all of your hair to the braid, finish braiding to the tip of the hair and secure with a clear elastic. 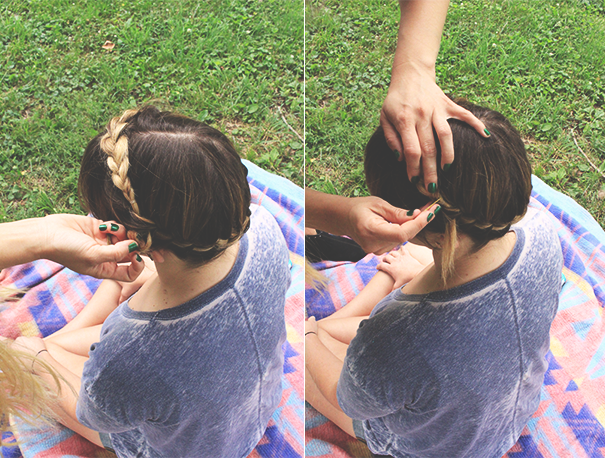 Place the braid over the top of the head and tuck the end piece into the beginning of the braid where you started. Use bobby pins to hide the elastic and hide the end pieces of hair. 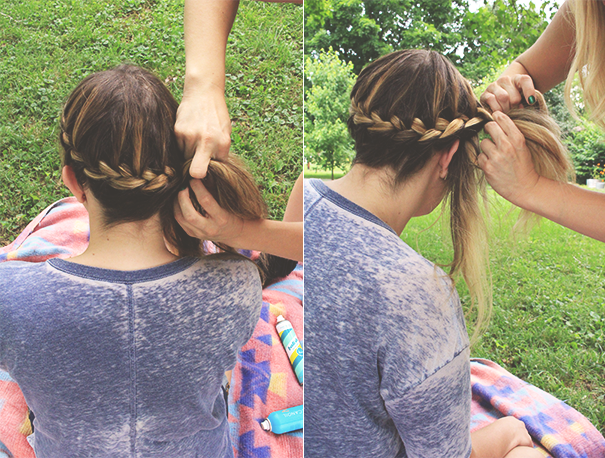 Use your fingers to loosen the braid and make the braids look even. Use bobby pins where needed and spritz with a little hair spray. or hat! 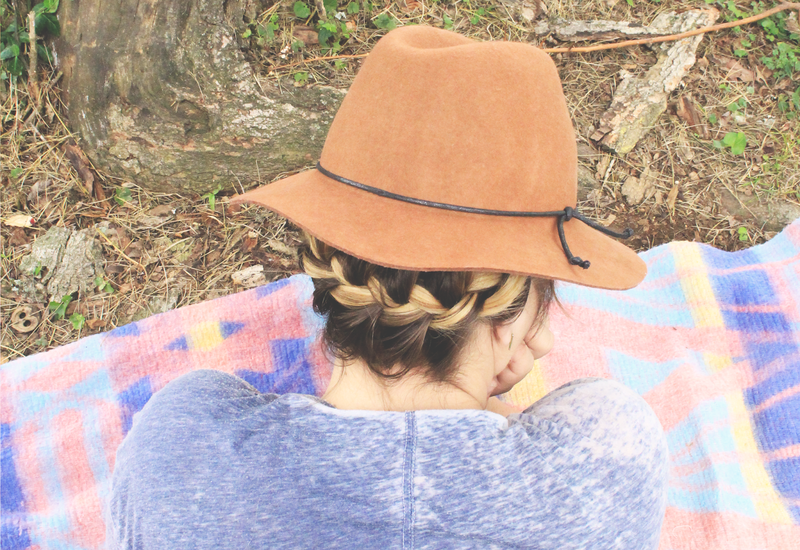 We love how the hat accentuates the back of the hair. 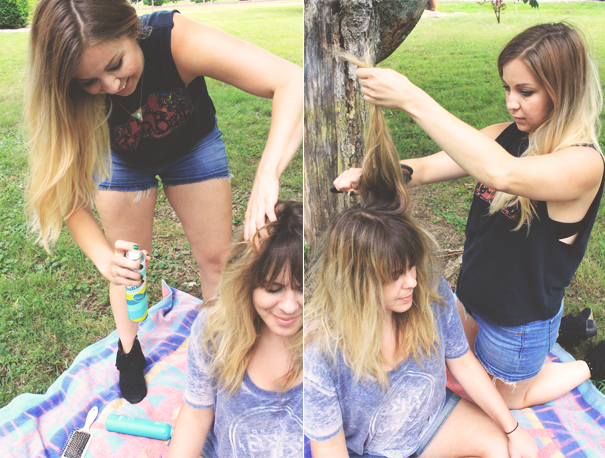 This is great for summer because it's easy, literally breezy, and beautiful. 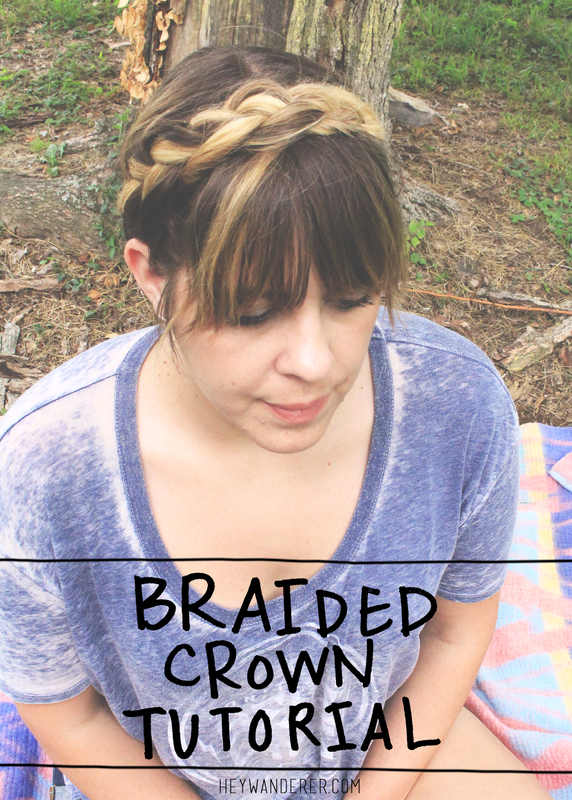 Love this, I've been trying to find my favorite way to do a braid crown, gonna try this out! I wish my hair was that long and thick!